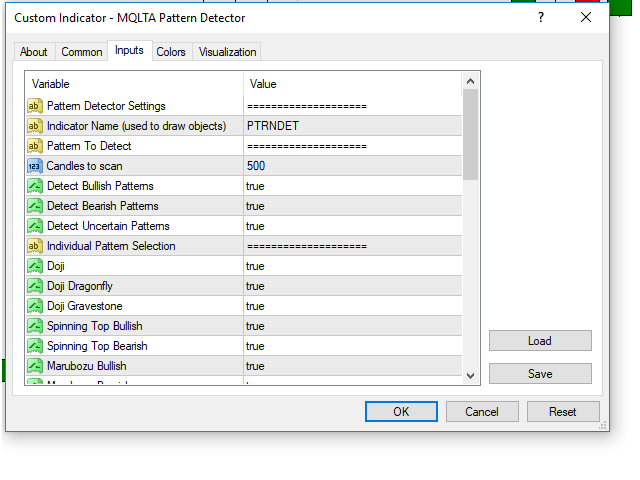 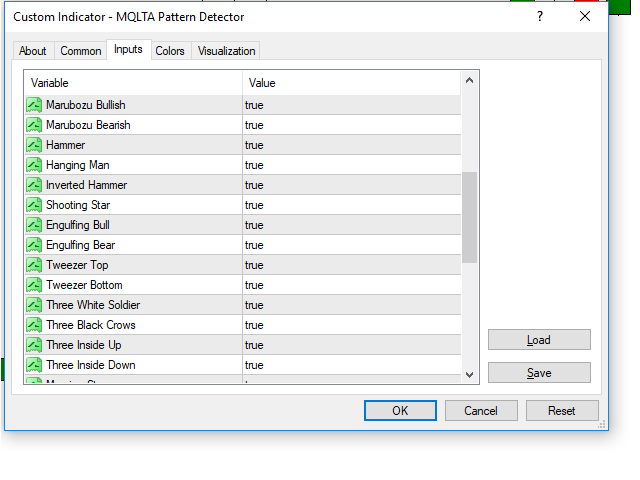 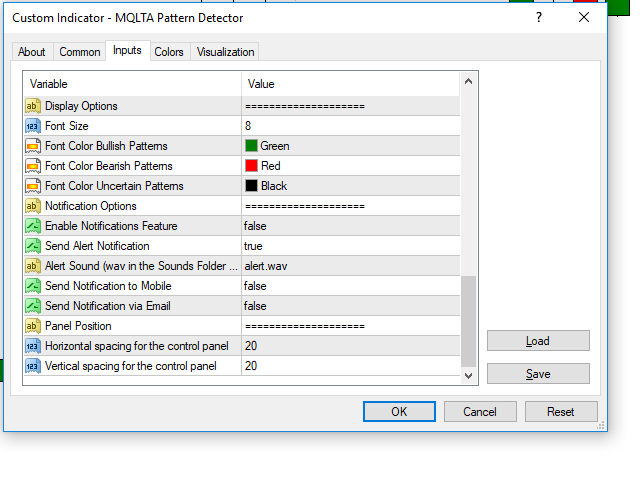 Pattern Detector can detect the most common 1, 2 and 3 candlestick patterns and send notifications when detected. 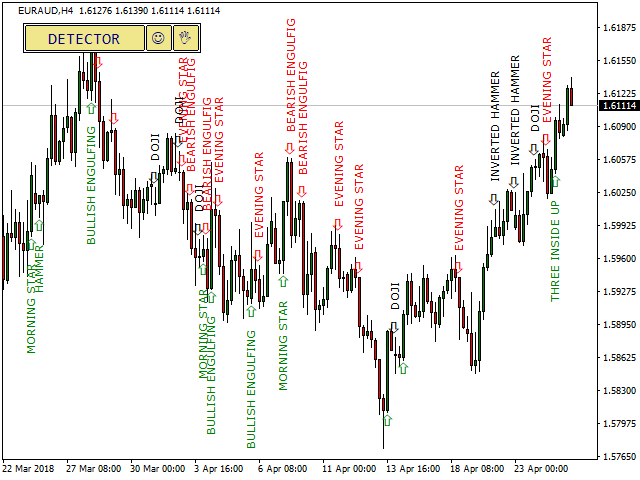 The DEMO version only works on AUDNZD pair. 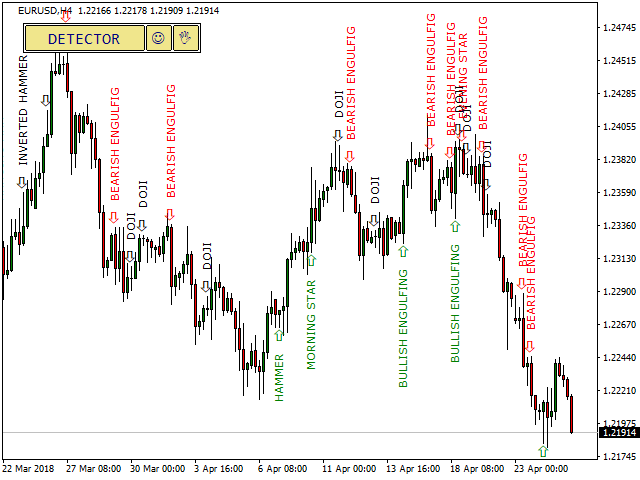 Add the indicator to the chart you want to analyze and select which patterns to detect, the indicator will draw the detected patterns. 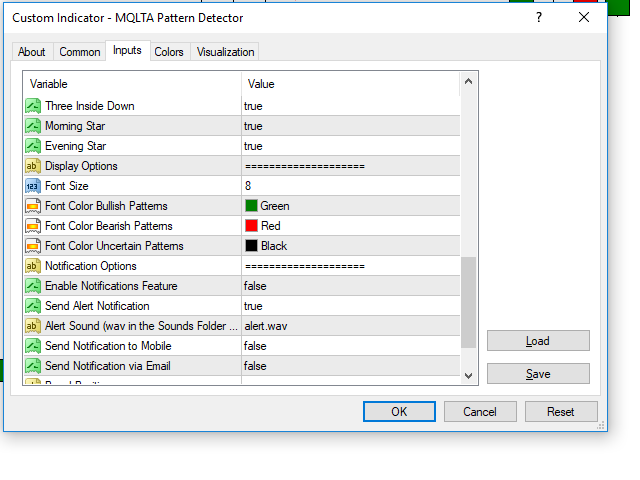 You can also be notified via alert, app and email when a new pattern is detected.